designed to detect illicit eavesdropping signals, perform site surveys for communication systems, conduct radio frequency (RF) emissions analysis, and investigate misuse of the RF spectrum. The OSCOR Green is a portable spectrum analyzer that sweeps 24 GHz in one second to quickly detect transmitting electronic surveillance devices and ensure that spectrum activity is captured. The NEW TALAN 3.0 Telephone and Line Analyzer represents advanced capability to detect and locate illicit tampering and security vulnerabilities on digital, analog, and VoIP telephone systems. New hardware provides the ability to test twisted pairs against modern telecommunication threats including shield and ground. The ANDRE is a handheld broadband receiver that detects known, unknown, illegal, disruptive, or interfering transmissions. The ANDRE locates nearby RF, infrared, visible light, carrier current, and other types of transmitters. Employing over 70 people and providing electronic countermeasures equipment around the world for more than thirty years, REI is the name governments around the world trust as manufacturers of the best overall countermeasures products available. As leading international distributors for REI, supplying more than 60 countries, IPS are proud to have been associated with Research Electronics for the past 25 years. The full range of REI and IPS equipment on display on Stand No. D19 at Security & Policing 2018, Farnborough, UK or contact Gerry Hall to arrange a demonstration at the central London offices of IPS. 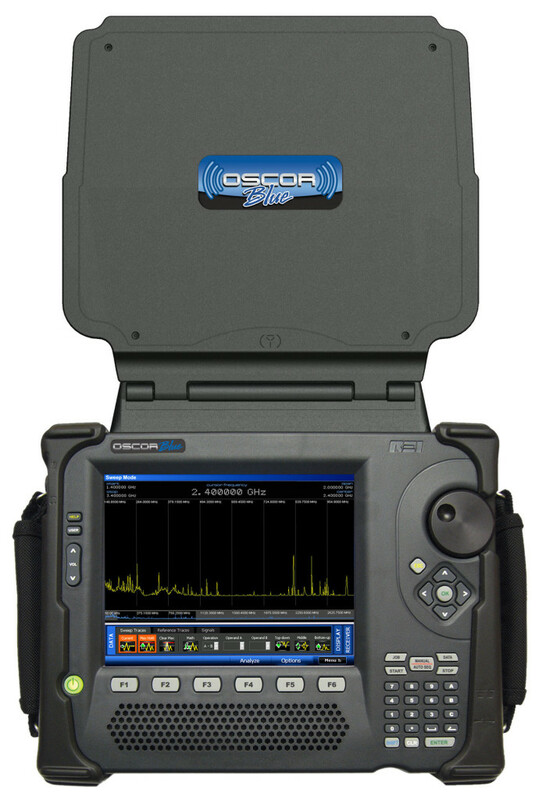 The OSCOR Blue is a hand-held spectrum analyzer with a rapid sweep speed and functionality suited for detecting unknown, illegal, disruptive, and anomalous rogue transmissions across a wide frequency range. The OSCOR Blue Spectrum Analyzer is designed to detect illicit eavesdropping signals, perform site surveys for communication systems, conduct radio frequency (RF) emissions analysis, and investigate misuse of the RF spectrum. Enter your email address to follow CounterEspionage-News.com and receive notifications of new posts by email.